"What the heck is a Bubble Rock?" 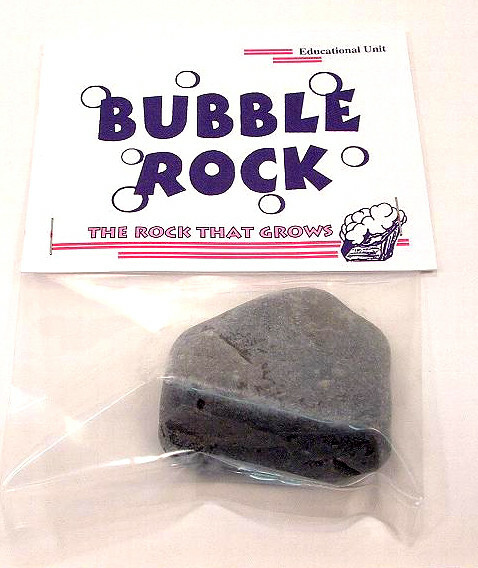 It's a geology experiment waiting to happen, and one heck of an affordable souvenir from the Ore Cart Rock Shop in Estes Park, Colorado! 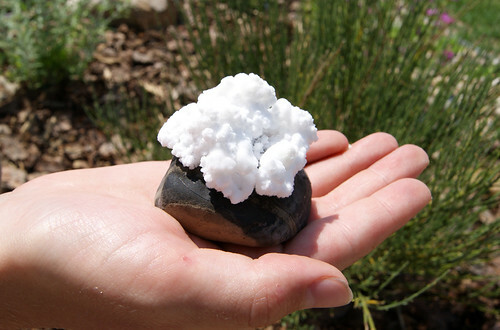 The Bubble Rock is a naturally ocurring Limestone mineral that is found in Western Utah. With proper conditions that are similar to a cave environment, it will grow its own crystals! The rest is very simple and easy! 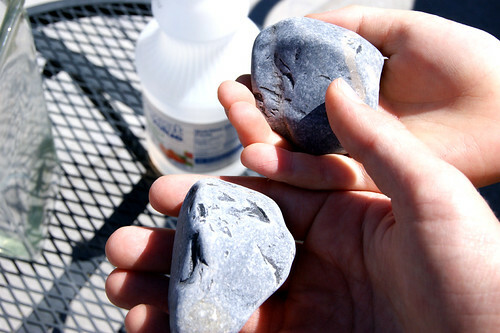 Unwrap your rocks (it's nice to have one for each "geologist"), and place it in your container. 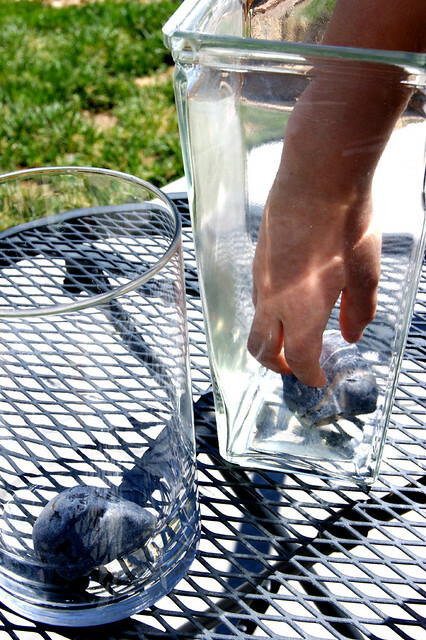 Again, be sure to leave enough room around the edges so that you can easily pick up the rock once all of the crystals have grown- they will be very fragile! 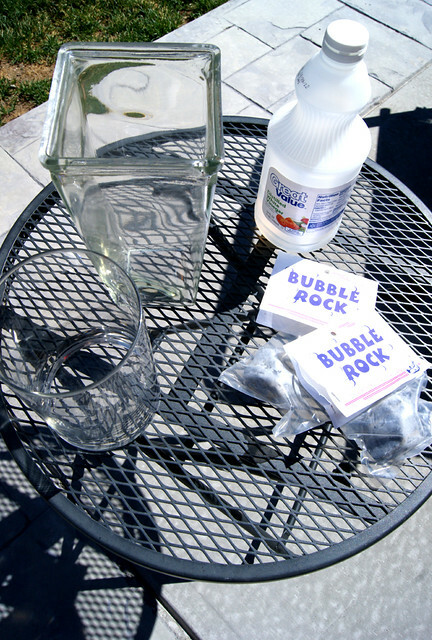 Add enough white vinegar to just barely cover the top of the Bubble Rock. If you get a little too much, no big deal, it will just take a bit longer for the vinegar to evaporate and get the crystals started. 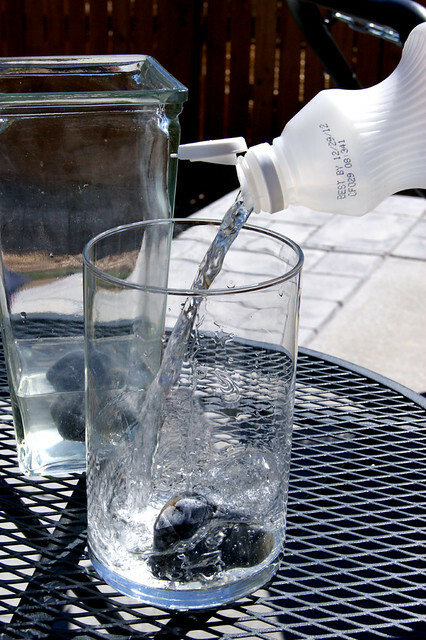 The vinegar causes a chemical reaction with the minerals in the rock. Within a few days tiny white Aragonite crystals appear and gradually place themselves to form clusters of white blossoms. Similar aragonite crystal formations occur in caves in the form of stalactites and "cave flowers" (anthodite) such as in Carlsbad Caverns. After about two weeks, your rock will look like this! Carefully extract it from your container and allow it to dry. You will have a very special crystal keepsake to tell friends about! Erin Fabulous project. We are cavers so I just love this project. I'm glad you liked it, Christine! It was easy and fun to watch the progress of the growing crystals! Oh my "geologists" would LOVE this!I got three birthdays coming up this might be an awesome present! Could you please tell me if you could run an experiment with red cider vinegar vs white vinegar to do a compare and contrast experiment. or what would you suggest.